For my DT homework for school we have been asked to choose a designer and produce an informative sheet/leaflet explaining and showing what they do. I have chosen yourself as, I too, love wildlife and my Grandad has a farm and has sheds full of old tools and I love making things. I also watch Countryfile and saw you on there too. We have several questions but the ones I am unable to find on your website are ‘why do you recycle?’ and how does it help the planet? Once I have completed my sheet I will email it to you to see what you think if that is OK with you. Many thanks for your help and I really look forward to hearing from you. I shall try to answer your questions but it’s actually not as straightforward as you might think. 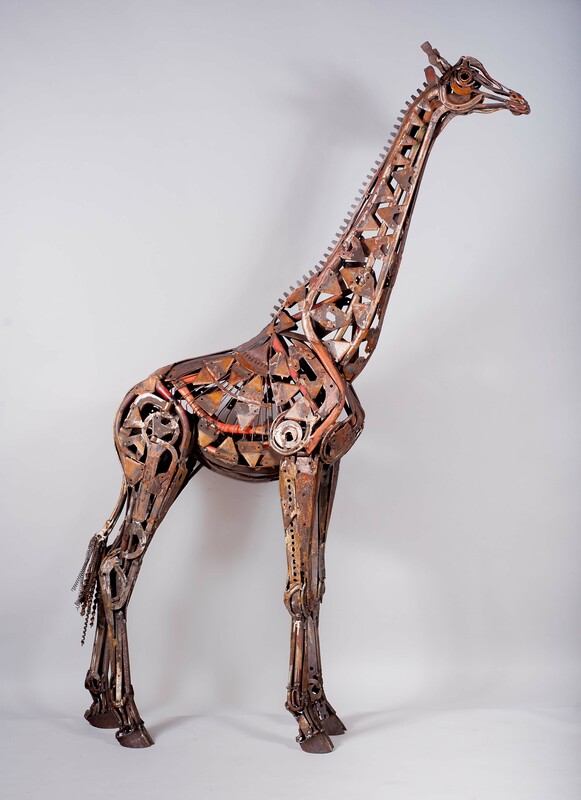 You ask ‘why do I recycle’?’ As a nature lover and conservationist I always try to recycle and conserve resources in my day to day life, however as an artist I don’t use scrap metal because it is recycled. I am happy that it is recycled but I don’t use it because it is. The reason I use it is that it has a past life and that I enjoy incorporating the shapes into the work. I think it adds an extra interest to the sculptures. The reason I weld steel is that it enables me to make a diverse range of pieces with movement and balance that I could not achieve using clay or wood for example. Steel is very strong and welding is an immediate process that i find really appeals to the way that I work. So it is the very fact that the old tools are made of steel that I use them, not because they are recycled. Your next question is ‘how does it help the planet’? Well this is another complicated answer. I use a lot of electricity to make them by welding, but nowhere near as much as would be needed to cast them into bronze. The bronze would be melted down using a lot of energy. 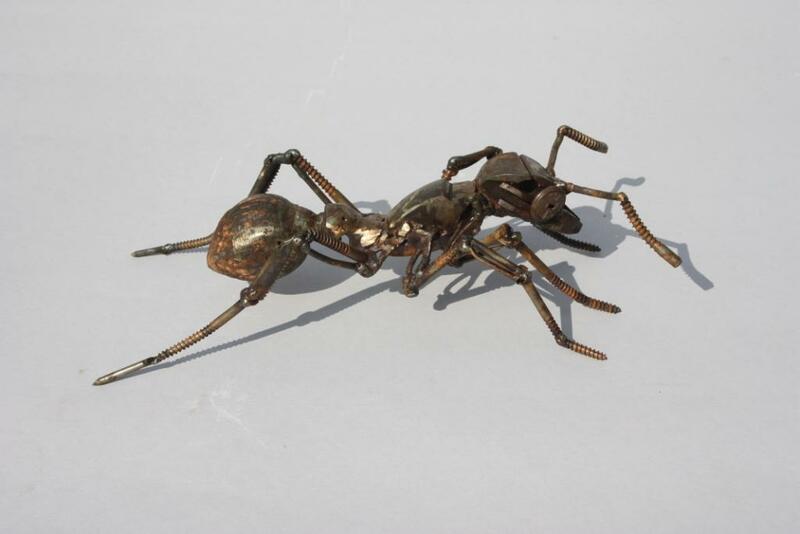 So my welded sculpture is better for the planet than if I made bronzes. If I used newspapers and glue that would be even better for the planet though wouldn’t it? So I can’t say that my sculptures are particularly good for the planet in that respect. But, I like to think that when someone sees a sculpture of mine that celebrates a wild creature they may take a moment to consider the beauty of that creature and think about why that animal needs to be conserved or its habitat preserved. I don’t always make exciting big animals like some other artists (lots of wildlife artists paint lions, tigers and eagles) for me I find an ant or a lizard as interesting as a giraffe. I hope this helps your project and keep making things with your grandad! This entry was posted in Uncategorized on June 10, 2015 by harriet mead.